S M Ong: Singapore's most exciting new shopping mall is ... in Yew Tee? Singapore's most exciting new shopping mall is ... in Yew Tee? Whoa, Nellie. Yew what Point? you ask. Yew Tee Point – only the most exciting new mall of them all! Even more exciting than Ion Orchard? Where reportedly brands like Cartier, Dior, Dolce & Gabbana, Giorgio Armani, Louis Vuitton and Prada will open their double-storey flagship stores? Yes. I dare say Yew Tee Point is more exciting than all those retail monoliths from Orchard Road to Marina Bay put together. Because it’s near where I live. It’s about time Yew Tee residents get our own mall. For too long, we have been Choa Chu Kang’s under-developed, less glam baby brother, much like Brad Pitt’s forgotten younger sibling, Arm Pitt. When I first told people I lived in Yew Tee after moving here 10 years ago, they thought I made the place up. What kind of cartoon name is “Yew Tee”? It sounds like the flavour of a new drink from Pokka. I’ve been told “yew tee” is Teochew for “oil pond”, as if that’s any consolation. 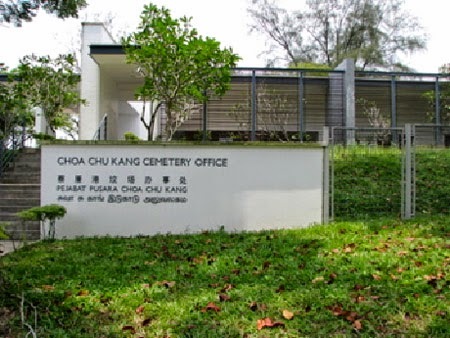 Then when I explained to people that Yew Tee is in Choa Chu Kang, they thought I lived next to the cemetery. Which I guess is marginally preferable to living in an imaginary place. The thing is that there is no actual Yew Tee Road that I know of. But we do have the Yew Tee MRT Station, our greatest claim to fame. Unfortunately for us, one stop away at Choa Chu Kang MRT Station is where the real action is. There, they have their own bus interchange, a post office and a shopping centre that houses a library, a four-screen cineplex and a Ya Kun. Jealous? Who says we’re jealous? Yew Tee is to Choa Chu Kang what Bukit Gombak is to Bukit Batok, Marsiling is to Woodlands, Khatib is to Yishun, Yio Chu Kang is to Ang Mo Kio, Braddell is to Toa Payoh, Buangkok is to Sengkang and Simei is to Tampines. But no longer. Thanks to Yew Tee Point, we can now enjoy Subway, Long John Silver’s and KFC without having to trudge all the way to stupid Choa Chu Kang. So if you will excuse me, I’m going to catch Confessions Of A Shopaholic at... what? There’s no cinema at Yew Tee Point? Dammit!